We’re a culture obsessed with zombie movies, apocalyptic films, survival stories, and dystopian tales…but why? There’s always been a part of me that’s just waiting for civilization to fall and the government to crumble. Where survival becomes the ultimate game and rebuilding civilization becomes the ultimate challenge. Whether it’s being stranded in below zero temperatures, surviving on a deserted island, or navigating in the disorientating backcountry, your chances of survival depend on how much you’ve studied up. These heart-racing movies demonstrate the power of people’s will to live and how important it is to prepare. 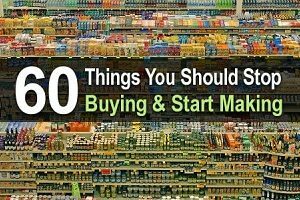 Take note and let these films inspire you to practice survival skills, set up a homestead, or begin a new hobby such as canning or gardening. As these storylines have taught us, it never hurts to be prepared. 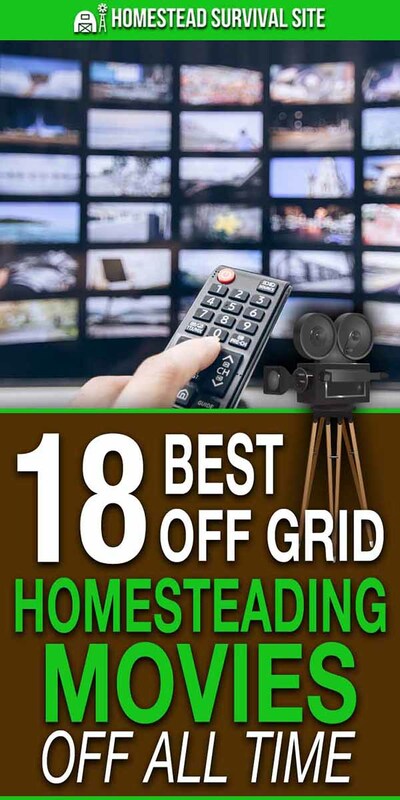 Here are what I believe to be the best off-the-grid and homesteading movies of all time. 127 Hours is based on the true story of an outdoor explorer who finds himself trapped in the Canyonlands of Utah after a boulder falls and traps his arm. Documenting his experience on video, the trapped man struggles to find the will to survive as he realizes the reality: that help is not on the way. Running out of water and time, he must make a huge sacrifice in order to survive. A couple’s romantic backpacking trip goes horribly wrong when they find themselves lost in the wilderness without a map, phone, or supplies. Totally off the grid, they must learn about their surroundings and how to survive without modern amenities, all while trying to make their way back to civilization. Along the way, they battle dangerous predators, unbearable conditions, and a lack of food and water. Will they both be able to make it out of the woods alive? Captain Fantastic is a whimsical tear-jerker that follows an idealistic father who dreams of raising his kids off the grid. He instills his left-wing, survivalist philosophy into his family by raising them deep in the Pacific Northwest wilderness. After a family tragedy, the father and his mini tribe must emerge into the real world, suddenly exposing his children to an alien lifestyle. Away from his self-made paradise, the children begin to question and challenge their father’s ideals. Will the family find a way to stick together and adapt to the modern lifestyle or will they retreat back to the wilderness? A winner of the Golden Globes and one of Tom Hanks’ best performances ever, Castaway is a classic survival tale. After a devastating airplane crash, a Fed Ex employee finds himself stranded on a deserted island. He struggles to survive in isolation with no resources (save for his companion, Wilson the volleyball). The only thing keeping him alive? Hope. While on a sailing trip with his father, a boy and his dog are thrown overboard into the thrashing ocean. The struggling duo must survive the rugged coastal region of British Columbia, while his father commences a desperate search. In this wholesome family film, the unbreakable bond between boy and dog is put to the test as the two find food and shelter while leaning upon each other every step of the way. A young couple and their daughter live a beautifully sustainable life off the grid with a garden, farm, solar panels, and a healthy stockpile of food. Little did they know, this happy home would soon turn into a bunker for friends escaping utter chaos in the outside world. When a cyber attack shuts down the government and society goes into full looting/killing/survival mode, the group is forced to protect themselves until world order is restored. Just as Hurricane Katrina threatened to make landfall, a young husband gets the surprise of his life as his wife goes into early labor. As the storm batters the area, the hospital evacuates, leaving the young couple stranded with their premature child and no help on the way. Threatened by rising flood waters, without electricity and supplies, this husband must turn the abandoned hospital into ground zero for his new family to survive. If killer zombies and the risk of infection weren’t enough to make you go crazy, total isolation on Earth will sure do the trick. After a virus kills millions, Will Smith is left to scavenge and loot to stay alive, all while trying to find a zombie cure to save the human race. Watch as he battles loneliness, aggressive zombie killers, and the fear that he’ll never see another human again. Sick and tired of societal norms and the pressure to conform, Chris McCandless decides to drastically change his life by leaving society and escaping into the wild. Based on a true story, the dreamer heads towards the Alaskan wilderness to enjoy a few weeks of pure freedom. This elation is short-lived, however. McCandless quickly finds that his fantasy was never a reality and that life off the grid doesn’t come as naturally as he had hoped. An underwater dive team sets off on an expedition of one of the largest cave systems on Earth, The Esa’ala Caves in Papua New Guinea. All is well until a storm hurls rushing waters through the cave system, leaving the team utterly trapped. They must find a safe route back out to the sea before they run out of air. When a fresh-faced young couple traveling with their newborn infant son encounter snowy conditions on the road, they decide to take a fateful detour that will leave them stranded miles away from home in freezing temperatures. Now they must make an impossible decision: to stay in the car and wait for help or to trek in the snow, risking their lives along the way. Leonardo DiCaprio plays Richard, a wide-eyed American backpacking through Southeast Asia. While in Bangkok, he meets an eccentric Scotsman who gives him a map to a pristine, uninhabited island off the coast of Thailand where an international collection of rebels has created their own homesteading community. Richard journeys to the island in an attempt to escape the evils of modern-day society and join this self-sustaining tribe…only to learn that this tribe has evils of its own. After a crash landing, a group of survivors must face the harsh natural elements of the Alaskan wilderness. A pack of wolves follows the group relentlessly, in search of easy prey. Ottway, played by Liam Neeson, must fend off the pack in order to make it back home to his wife. A family on vacation in Phuket, Thailand look forward to a few relaxing days in a tropical paradise. Unfortunately, the wild Andaman Sea has a different plan. When a massive tsunami hits the coast of Thailand, the family’s idyllic vacation turns into a full-blown nightmare with devastation all around them. Separated, injured, and terrified, the family must find their way back together and evacuate the area before it’s too late. Inspired by true events, frontiersman Hugh Glass, played by Leonardo DiCaprio, is on a fur trading expedition when he is attacked by a vicious bear, an iconic scene for the film industry. Although he survives the attack, he is critically injured and left for dead by his hunting team. In the uncharted wilderness, the man braves harsh winter conditions as he journeys back to civilization in a death-defying race against time. In a post-apocalyptic world where little life is left on earth, a father and son struggle to survive. Based on the Pulitzer Prize-winning book by Cormac McCarthy, the two follow the dangerous road towards the coast in hopes of a better life. The father begins to fall ill along the way, but he must protect his son from cannibalistic gangs and other natural hazards. Will the two make it to the coast and find safety in this harsh and desolate world? It pays to know how to self-suture. At least, that’s the lesson in the shark-attack movie ‘The Shallows’ with Blake Lively. The young blonde plays an American surfer who has traveled down to Mexico to surf on a secluded beach. Little does she know, she’s not alone. The surfer girl is attacked and stalked by a Great White shark for days. Watch as her survival skills and resourcefulness are put to the ultimate test. In a world where overpopulation has caused widespread starvation and the breakdown of society, one man lives on a small plot of land hidden deep in the forest. With his shotgun, he protects the crops he grows by defending the land from intruders. One day, when a starving woman and her daughter come in search of food, his strict self-preservation ideals begin to fall to pieces. What’s your favorite off grid / homesteading / survival movie?